Models of Impact is a role-playing and ideation game that makes it easy (and fun!) to generate new, sustainable, business models. Our digital download is available on a pay-what-you-want basis, and includes easy-to-understand instructions for gameplay, a glossary of 200+ business models, and a suite of other helpful resources. Model of Impact walks players through a series of activities in order to simulate the process of ideating and launching a social enterprise in just four steps: LEARN, INVENT, PROGRAM, and REPORT. Our PDF download includes a glossary of 200+ models to help you successfully understand the landscape. Our step-by-step instructions help you come up with new ideas quickly so that you can brainstorm more effectively. This game isn't just about ideation. Take your idea forward using our various templates and worksheets. Finally, share your plan and get some feedback to start implementing, or to improve your concept even more! "[Models of Impact] is a goldmine of creative consciousness... a resource that everyone who cares about social impact should appreciate and absorb." what the heck is a business model? After studying thousands of organizations, we learned that the ideal business model is equal parts impact and revenue. An impact model is a sustainable way to create impact in the world, and feel a sense of purpose. A revenue model is a sustainable way to generate income and allow for growth. If a business only has an impact model, they might feel like they are living out their purpose, but that sense of fulfillment will be short-lived due to the necessity of money to sustain an organization. On the other hand, if a business only has a revenue model, they might generate income, but they will have a high chance of experiencing burnout due to a lack of purpose in their day-to-day work. 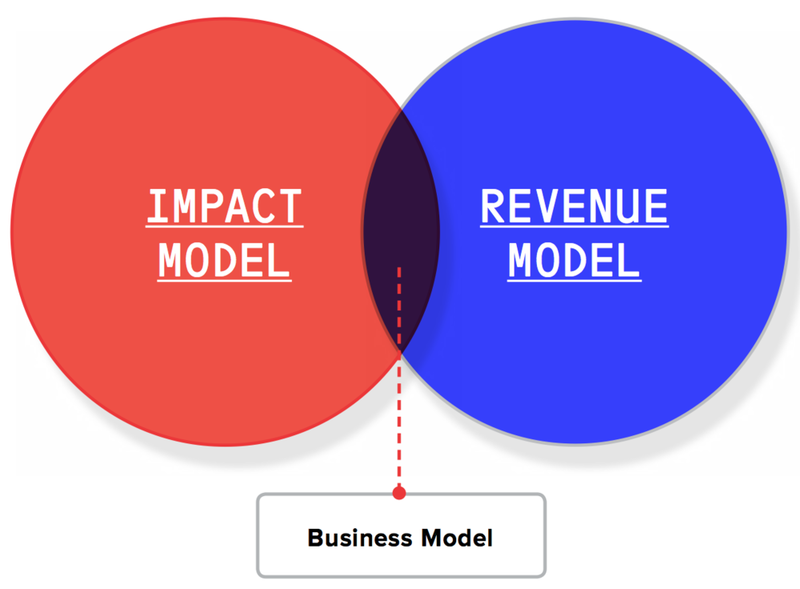 Models of Impact is built upon these observations, empowering players to combine impact and revenue so that they may generate new, sustainable business concepts. "The City of West Hollywood played Models of Impact with our staff during our Innovation Academy trainings. We enjoyed thinking creatively about solutions for the city's challenges, and had fun imagining the potential for new programs and services!" who is this for? how does this work? what's included? Models of Impact is designed for executives, entrepreneurs, consultants, and educators working across the private, social, and public sectors. The game is easy to understand, and is a great tool for introducing teams to a range of innovative business models, inspiring new programs and initiatives within your business or organization, providing a new framework for strategic planning, guiding the process of ideating new products and services, and even just getting your team to think differently. Our pay-what-you-want digital download includes everything you need to facilitate the entire process. 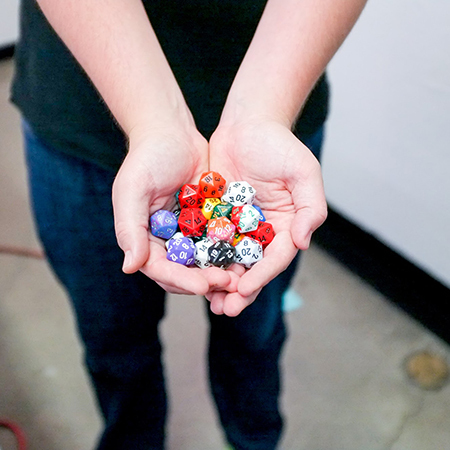 *For the full experience, pick up a set of 20-sided dice at your local game store, and plan to play with at least 2-3 people. Step-by-step workshop facilitation guide and curriculum. Glossaries of 200+ revenue and impact models spanning public, private, & social sectors. Worksheets, visual aids, and a library of free-to-use icons. Infographics explaining the relationship between leading business models. "My favorite thing about Models of Impact is that it's not that typical, tired, SWOT analysis. It creates this neutral territory through things like randomization and game play that allow you to explore your preconceived notions in a way that's completely judgement free and a lot of fun!" this isn't just talk. this is big impact. help organizations uncover new opportunities. The American Heart Association used Models of Impact to imagine new strategic value propositions and business opportunities. include community members in local projects. Local community members used Models of Impact to imagine new use-cases for vacant lots in Los Angeles' infamous "Death Alley". grow the global social enterprise movement. The Strelka Institute in Moscow used the Models of Impact game to teach social enterprise workshops in cities across Russia. inspire high school students to become entrepreneurs. 700+ students from 50+ countries engaged with the Models of Impact game at FIE 2018 in Mexico to inspire entrepreneurial ambition. "This process has helped us shape the next step for our business by confirming our set goals and initiatives so we can better engage new customers and differentiate ourselves from our competitors." Models of Impact is an initiative of verynice, a global design-strategy consultancy. verynice offers business model consulting services, and facilitates custom workshop experiences. If you are interested in learning more about verynice's services, please direct inquiries to info@verynice.co. meet matthew manos, the creator of models of impact. 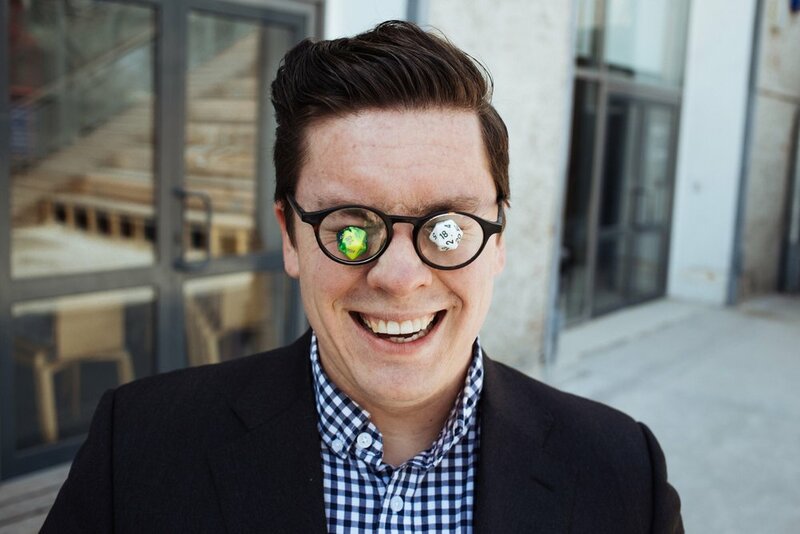 Matthew Manos is an award-winning design strategist, social entrepreneur, and educator. Matthew is the Founder and Managing Director of verynice, a design strategy consultancy that gives half of its work away for free to nonprofit organizations. Launched in 2008, verynice is known across the globe for being one of the first social enterprises in the design industry. verynice’s clientele includes Google, UNICEF, NASA, and the American Heart Association. To date, verynice has provided access to over $10MM worth of services and resources to benefit over 3700 organizations, practitioners, and students across the globe. Called “crazy or genius” by Forbes Magazine, and named one of seven millennials changing the world by The Huffington Post, Matthew’s pioneering work in the field of social enterprise has inspired thousands of practitioners to engage in socially and environmentally responsible business. Matthew speaks at institutions across the globe, and his work and ideas have also been featured in Entrepreneur, GOOD, Maxim, Inc, Fast Company, Wired, and Business Insider.